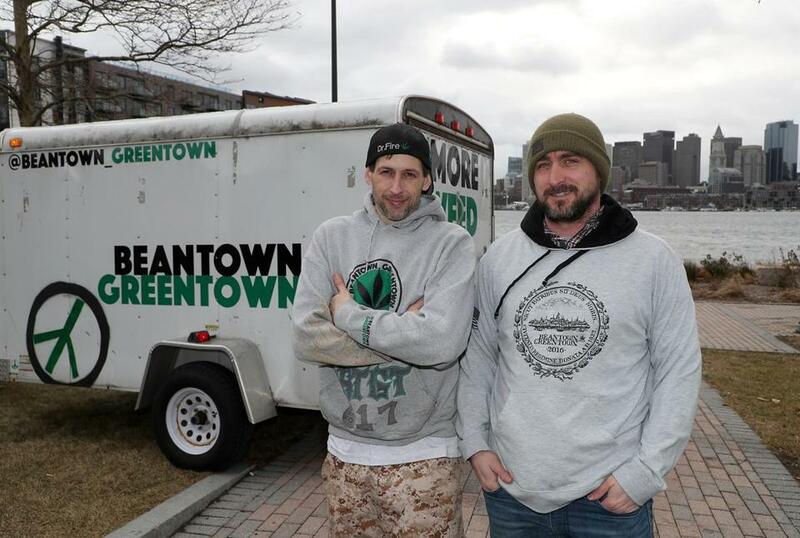 Andrew Mutty and Keith Laham are co-owners of Beantown Greentown, a marijuana cultivation and clothing company. Keith Laham is pretty sure the name for his cannabis company came from, strangely enough, former Boston mayor Thomas M. Menino. As more cannabis businesses emerge in Massachusetts, they face one of the most important tasks of starting up: choosing a name. From 2014 through November, most marijuana firms in the state were medical dispensaries that, in picking their appellations, sought to avoid stoner stereotypes and evoke professionalism and health, leading to such names as Alternative Therapies Group, New England Treatment Access, and Theory Wellness. But now that recreational sales are flowing, the market is changing. More creative names have emerged, such as The Green Lady and The Verb Is Herb. 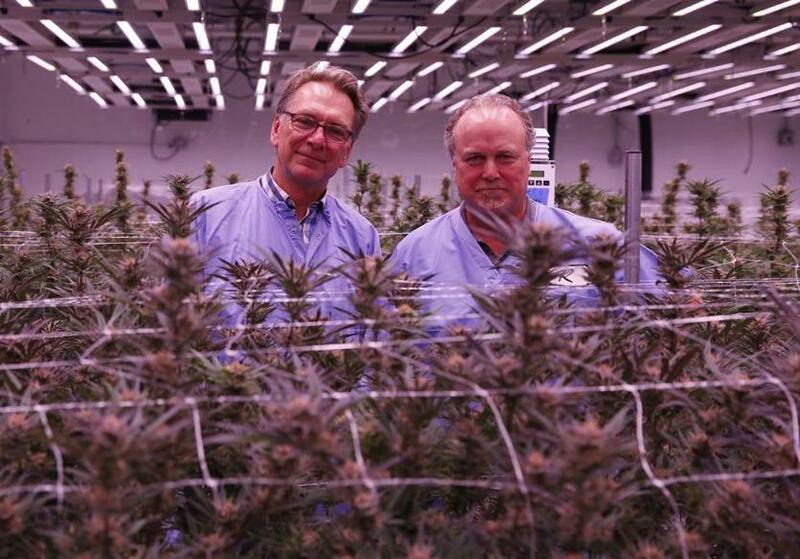 Tom Schneider (left) and Keith Cooper of Revolutionary Clinics oversee a room at their marijuana cultivation facility. In most industries, it’s crucial for a company name to be easily pronounced, spelled, and remembered. But in this crowded field the need to stand out is becoming most important, experts say, while staying within state regulators’ limits on referring, directly or colloquially, to the main product. So far, lots of companies have tapped into Boston’s healthy hometown pride with names such as Baked Bean, Mayflower Medicinals, and Patriot Care — a localized version of national parent company Columbia Care. Beantown Greentown is also growing local strains called Boston Skunk, 617 Haze, and Wicked Pissa. The local angle works because people want to support Massachusetts businesses over big marijuana companies from out of state, said Hillary King, a Boston-based consultant with 5 Point Management Group, who has worked on cannabis store branding. But to Eli Altman, a naming expert who was born in Newton and now lives in San Francisco, a name built on location wastes a key opportunity to stand out from the crowd. It’s better, he said, to show some personality. His company recently held a naming contest among cannabis companies, and the winners were: Electric Lettuce, Legion of Bloom, Garden Society, and Auntie Dolores, a name that “feels like the cool aunt who hooks you up with a little weed before Thanksgiving,” strategy director Ben Weis wrote online. One common obstacle for businesses is finding something that’s not already taken. The website Ganjapreneur.com has a domains section where, for thousands of dollars, you can buy a Web address that someone has already locked down. Currently for sale: Hightopia.com for $1,199; MarijuanaBank.com for $25,000; and BestBud.com for $55,000. Marijuana shops in need of inspiration can also turn to TrailblazerSEO.com, which, with a click of the mouse, will generate variations on common pot terms, such as The House of Clinic, Chronic Flora, My Daily Redeye, The Dankest Botanics. Such names, however, may be frowned upon by the Massachusetts Cannabis Control Commission. State regulators ban businesses from using logos, labeling, or signs that include “colloquial references to cannabis and marijuana.” That rule also covers names, a spokeswoman said, but so far the commission has yet to send anyone away to come up with something new. It took months for Mario Signore to decide on his cannabis growth and production company’s name, Green Line, which is seeking to open in Boston. The son of the family that owns Brookline Ice, Signore said the Green Line wasn’t just a play on words, it held special significance. Since age 10, he rode that MBTA line into Boston from Newton Centre and later while attending Northeastern University. 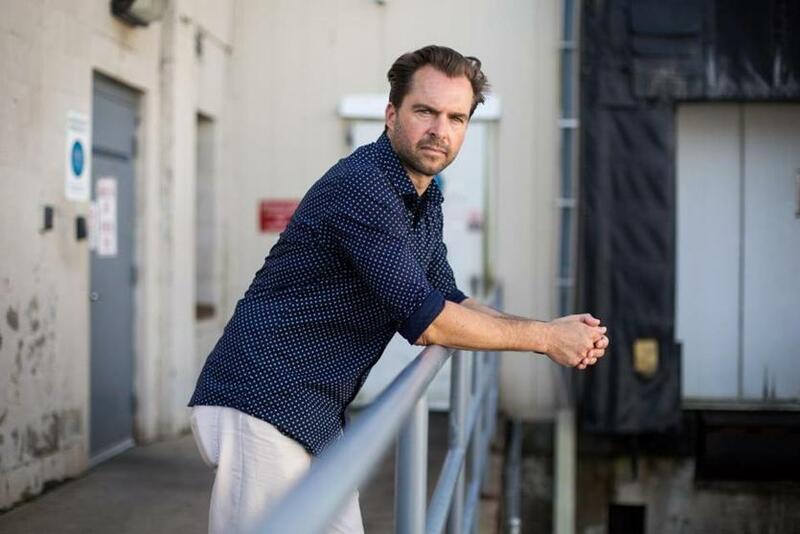 Mario Signore is founder and CEO of the cannabis growth and production company Green Line Boston. Ansin said he also saw echoes of the Founding Fathers’ grit, determination, and vision in Massachusetts’ burgeoning marijuana industry, which bucked federal law and ended prohibition in the state. Former Boston city councilor and mayoral candidate Tito Jackson said he didn’t come up with the name for Verdant, the marijuana company that he was tapped to run, which plans to open stores in Mattapan, Provincetown, and Rowley. But he saw a deeper meaning in the name than just a synonym for green.